A brand new cherry blushing with compliments. 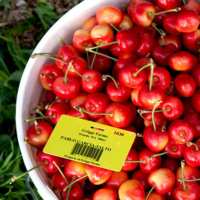 In 2008, 4th generation grower Marcus Griggs received a patent for his new cherry variety and decided to cultivate the Orondo Ruby® cherries on his own orchards. Since then, Marcus and his family at G&C Farms have had their sleeves rolled up planting thousands of new trees so they can bring Orondo Ruby® cherries to you every summer! The higher the acidity and sugars, the bigger the flavor. 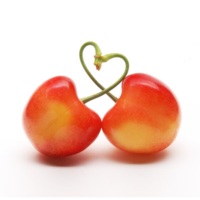 The Orondo Ruby® has proven to have more sugar and acid than a Rainier cherry. How Long Are Rubies Here? The Orondo Ruby® is grown exclusively on the Griggs family orchards in eastern Washington, lovingly cultivated and handpicked at the peak of sweetness. 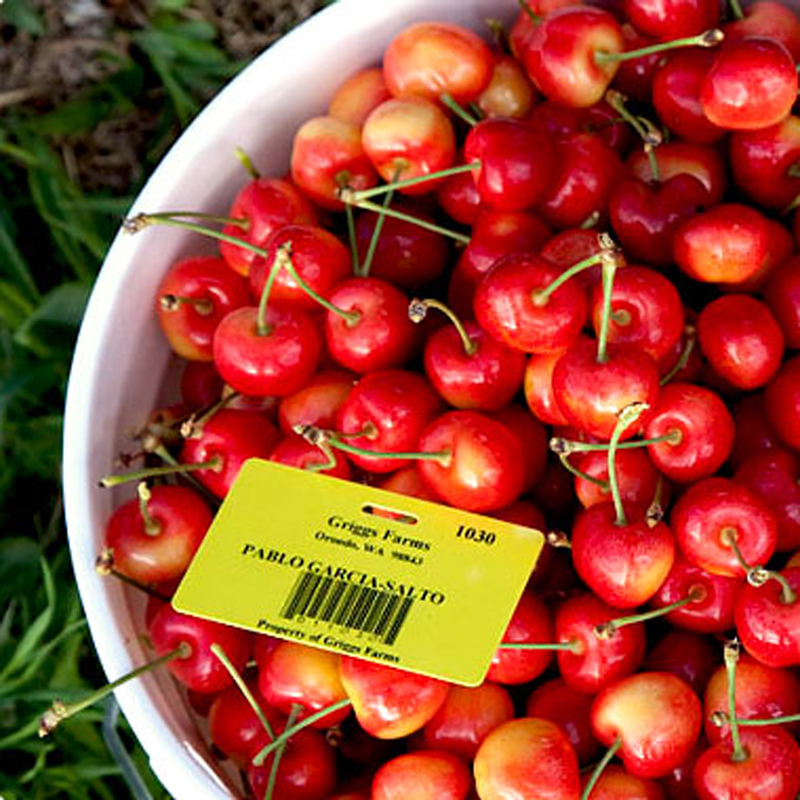 The yield is small compared to other cherries grown across the country, so as our fans already know, there is a limited supply each summer. But boy is it sweet. 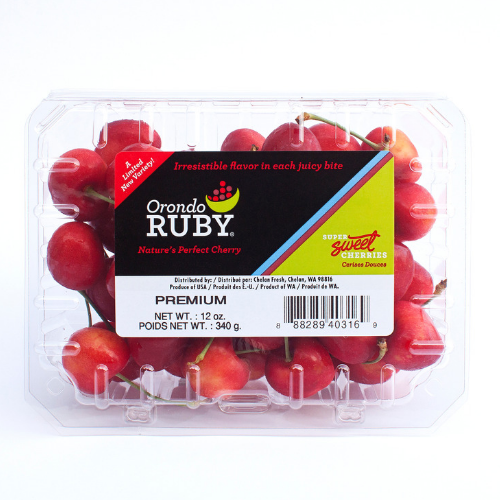 You can typically find the Orondo Ruby® in stores for a few short weeks starting around the beginning of July. How do you best enjoy an Orondo Ruby®? Every which way. For recipes and fresh ideas check out Orondo Ruby®’s News page. Click here for Orondo Ruby® recipe inspiration!